Embattled former Hawks commander Mthandazo Ntlemeza lost another court battle on Thursday when North Gauteng High Court Judge Segopotje Mphahlele struck his application to interdict Minister of Police Fikile Mbalula from preventing his return to the top job. Ntlemeza was also ordered to pay costs in the matter. The law has breathed hotly down the former Hawk's head's neck ever since his illegal appointment by former Minister of Police Nathi Nhleko in 2015. The Bern, it seems has outlived his usefulness. By MARIANNE THAMM. Mthandazo Ntlemeza will have to wait two more weeks to learn what the final chapter will be in his controversial over-35-year career as a policeman when the Supreme Court of appeal hears his application on June 2 challenging the rulings of three courts that his appointment by former Minister of Police Nathi Nhleko was irrational and illegal. For now, Ntlemeza will continue to earn his R1.6-million annual salary although he might be spending a sizeable chunk of it on legal fees should he be ordered, as he was on Thursday, to pay costs. Ntlemeza, who will turn 61 on November 12, was appointed in 2015 on a seven-year contract to the most powerful law enforcement position in the country after being parachuted in as acting head after the suspension and resignation of former head General Anwa Dramat. Ntlemeza’s tenure, which was subject to a costly and drawn-out legal challenge by the Helen Suzman Foundation and Freedom Under Law, has been marred by controversy. He was appointed by Nhleko in spite of a high court judgment that had found him biased and dishonest with regard to his suspension of former Gauteng Hawks Head, Shadrack Sibiya. The Bern arrived in office trailing several investigations since 2012 by IPID including charges of defeating the ends of justice and corruption lodged by Lieutenant Boitumelo Ramahlaha and involving a former Polokwane police captain Thomas Rallele, who was allegedly romantically linked to Ntlemeza’s daughter. Ntlemeza, said Ramahlaha, had simply ignored the allegations. 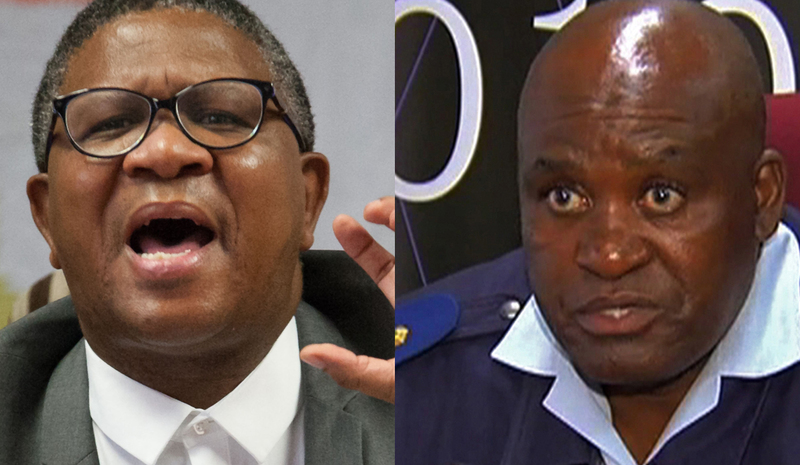 Two further cases – one of perjury and one of fraud, crimen injuria and defamation of character – were opened by former KZN Hawks head General Johan Booysen against Ntlemeza. It was Ntlemeza, it was revealed in 2016, who drove the over 18-month ever-shifting persecution of former minister of Finance Pravin Gordhan on a variety of charges. It was Ntlemeza who personally delivered a list of 27 questions with regard to a Sars “rogue unit” to Gordhan days before he was to deliver his budget speech in 2016. It was also Ntlemeza who, when that course of action failed, attempted to nail Gordhan on charges of fraud related to the early retirement of former Sars acting Commissioner Ivan Pillay. The latter case collapsed when the NPA learned that Ntlemeza had failed to include a 2009 exculpatory memorandum by Sars deputy director of law, Vlok Symington, in the case file sent to the NPA. NPA head Shaun Abrahams withdrew the charges against Gordhan, Pillay and former Sars Commissioner Oupa Magashula in October 2016. It was members of the Hawks Crimes Against the State Unit, including its head Brigadier Nyameki Xaba, who held Symington hostage in a boardroom at Sars headquarters in Pretoria in an attempt to retrieve an email containing a legal opinion by Sars own lawyers that they would not participate in the investigation. Symington has laid a complaint against Xaba with IPID. It appears as if Ntlemeza’s inability to deliver Gordhan has led to his outliving his usefulness. On Thursday Judge Mphahlele ruled that the interests of justice outweighed whatever prejudice Ntlemeza claims he would have suffered through his suspension. She also said there was no urgency with regard to Ntlemeza returning to work. Ntlemeza has argued that he can only be removed from his job through a parliamentary process. The problem is the courts have found that his appointment was illegal in the first place so technically he was never properly appointed. In a media statement by Minister Nhleko at the time of Ntlemeza’s appointment in 2015, Nhleko said that “time and again, we have been faulted for not appointing career policemen and women into strategic positions. I have no doubt that General Ntlemeza will continue the good work that the Hawks have become famous for and help government in fighting serious organised crime and corruption”.